Are walls effective? As we’re all aware, this seemingly innocent question has become a focus of considerable controversy for our neighbours to the south. Of course, it’s not about the sort of walls that separate rooms of your house, or the barriers around your property that deter trespassers and prevent your dog from molesting your neighbour’s flower bed. Rather it’s about massive barricades erected by political leaders to prevent or control the movement of large populations of people at borders. As it happens, there’s a rather interesting and intriguing history of such structures, both real and mythical. Publius Aelius Hadrianus Augustus (76-132 AD) ruled when the Roman Empire was at its peak and is considered by many historians to be one of the “good emperors”. He seemed less interested in further expansion than in consolidation and security of his already vast empire. As part of that approach, he commissioned the building of a wall to define and secure the northernmost extent of the empire. Construction of Hadrian’s Wall began in AD 122. The wall is composed mostly of stone and is about 10 feet wide and up to 10 to 20 feet in height. The wall connects a series of fortifications located every 5 (Roman) miles. It runs about 73 miles, from the banks of the River Tyne near the North Sea in the east, to the Solway Firth on the Irish Sea to the west. It required a garrison of about 1,500 men and was intended to prevent the “barbarians” (ancient Britons and Picts) from troubling Roman Britain. Hadrian’s successor, Antoninus Pius, seemed to like the concept but felt the boundary should be expanded and so, in 138 AD constructed a second wall about 100 miles to the north. The Antonine Wall was 40 miles in length. 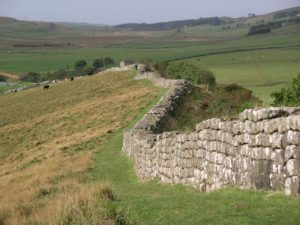 Despite the wall, Antoninus was unable to contain the northern tribes and so subsequent emperors abandoned his wall and re-occupied Hadrian’s Wall. Today, Hadrian’s Wall is a tourist destination. It was declared a World Heritage Site in 1987, but remains unguarded. 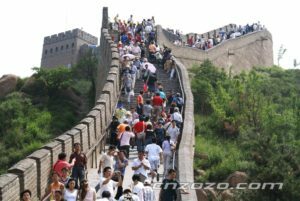 Tourists commonly climb and stand on the wall, although this is not encouraged for fear of damage to the historic structure. Troy was an ancient city located on the northwest coast of Turkey. Archeological research of that site has revealed that it has been inhabited since about 3000 BC. Dutch researcher Gert Jan van Wijngaarden notes in a chapter of “Troy: City, Homer and Turkey” (University of Amsterdam, 2013) that there are at least ten settlements layered on top of each other. 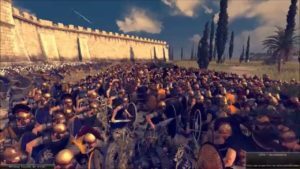 It is not clear whether the ten year siege by Greeks led by King Agamemnon and described so famously in Homer’s Iliad is wholly or even partially true, but both the legend and the archeologic evidence indicate that the city was, at one time, surrounded by a rather impressive defensive wall. Van Wijngaarden notes that deep under the surface evidence exists of a“small city surrounded by a defensive wall of unworked stone.” In the period after 2550 B.C, the city “was consider ably enlarged and furnished with a massive defensive wall made of cut blocks of stone and rectangular clay bricks”. 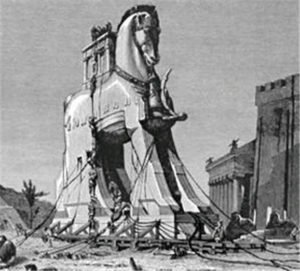 The legend, of course, indicates that the Trojans were able to hold out for ten years, but the wall was eventually overcome not by force but by clever deception: Ulysses famous “Trojan Horse”. Babylon was a city and city-state located in Mesopotamia and a dominant presence in the world for over twelve centuries, ending about 600 BC. 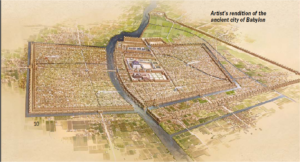 It was a key commercial and cultural centre and it is believed that, at various times, Babylon was the largest city in the world, and perhaps the first with a population exceeding 250,000. A prominent feature of B abylon were its extensive walls. Various rulers would add successively to the work of their predecessors. Nebuchadrezzar II surpassed most by fortifying the existing double wall and actually adding a third. He also added a separate wall north of the city between the Euphrates and Tigris rivers. Considered to be over 100 feet high at points and extending 41 miles, both the sheer magnitude and artistic features of the walls were remarkable, notable particularly for the “hanging gardens”. They are considered one of the “Seven Wonders of the Ancient World”. 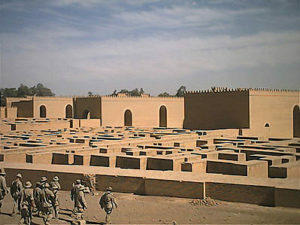 Extensive efforts have been made to excavate various components of the ancient city, which has been partially reconstructed as a historic and tourist site. Unfortunately, the reconstruction has been damaged by the development of oil pipelines and military conflicts. In April 2006, American Colonel John Coleman, former Chief of Staff for the 1st Marine Expeditionary Force, issued an apology for the damage done by military personnel under his command. and finally enlarged and united into a single structured with embedded towers and fortifications. The main construction of the existing wall dates to the Ming Dynasty (1368-1644). In addition to its defensive purpose, the wall also had a border control function, controlling immigration and, serving as a tariff collection station for goods being transported along the “Silk Road” between eastern and western markets. It extends 21,196 km making it clearly the most extensive wall ever constructed. Whether it is the only man-made structure visible from space is a point of contention. There has never actually been a recorded “sighting” from space, although a Chinese astronaut in the space station claims to have taken a photograph using high resolution equipment. 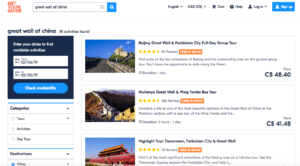 What is clear is that it is a UNESCO World Heritage Site and a symbol of modern China. Although many portions of the wall are in disrepair and eroding, it remains an extremely popular tourist attraction, arguably, the world’s most sought-after selfie opportunity. 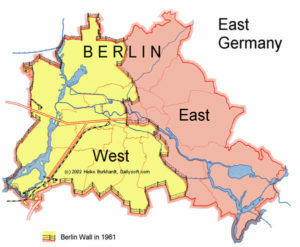 A more contemporary example is the Berlin wall that physically divided that city between 1961 and 1989. Its history is both fascinating and instructive. After World War II, the Potsdam Agreement determined that the victorious allies would divide Germany into four zones of occupation controlled by the United States, the United Kingdom, France and the Soviet Union. The German capital, Berlin, was the centre of administrative control of all four powers and so was similarly divided into four sectors. However, Berlin was entirely within the Soviet controlled portion of former Germany. Within a short period of time, political tensions mounted between the Soviets and the other three nations, largely related to the Soviets’ reluctance to agree to the Marshall Plan which called for the reconstruction, self-governance and economic support of post-war Germany. The United States, United Kingdom and France decided to proceed nonetheless, uniting their portions into a single country which came to be called West Germany (officially, the Federal Republic of Germany), with a capital located in Bonn. East Germany (known as the German Democratic Republic) emerged as a separate and Soviet controlled state, with its capital in Berlin. This left Berlin under divided governance but entirely within a separate and rather unfriendly state. East Germans began to use West Berlin as a means to defect to western countries. It is estimated that 3.5 million circumvented emigration regulations by simply crossing into West Berlin and then on to West Germany and other countries. 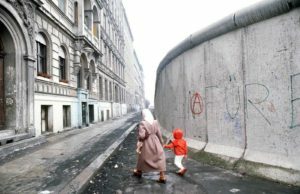 To prevent this exodus, the GDR (East German) leadership constructed a concrete, militarized wall essentially separating and isolating West Berlin within East Germany. During the time it was in place, over 100,000 people attempted to escape and about 5,000 succeeded in doing so. They were taking serious risks. According to the Centre for Contemporary History, a research institute concentrating on recent European history, at least 140 people are known to have been killed attempting to cross the wall, ranging from a one-year old child to 80-year old woman. Most believe the number to be considerably higher. 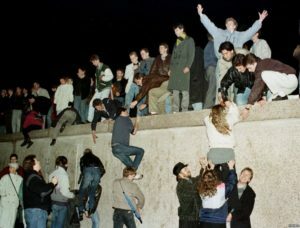 Eventually bowing to anti-communist sentiments in neighbouring countries and civil unrest, the East German government lifted restrictions on movement within Berlin in November of 1989, which led to open and euphoric celebration. People began chipping away parts of the wall until the government removed what was left of it. Germany officially became re-unified October 3, 1990. 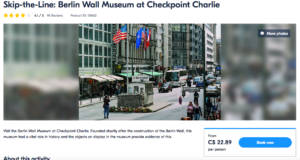 Today, only small segments of the wall remain, including “Checkpoint Charlie”, its best known militarized crossing point. The Berlin wall is seen as a failed attempt by a government to impose its will on its citizens. Because it is so recent in our collective memory and so well documented, it has become a powerful image of oppression and courageous defiance. It too has become a popular tourist destination. 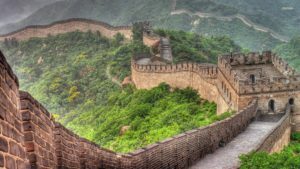 The most famous albeit imaginary wall of our time no doubt comes from “Game of Thrones”, a hugely popular HBO series based on the fantasy novels of George R.R. Martin. 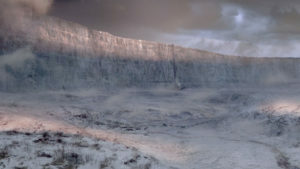 A key feature is “The Wall”, a massive fortified structure composed of solid ice stretching across the northern border of the “Seven Kingdoms”. It is intended to provide protection from the various miscreants beyond, including “Wildlings” and a wandering army of frozen zombies referred to as the “White Walkers”. Seemingly inspired by Hadrian’s Wall, this frozen barricade stretches from coast to coast, has fortifications along the way, and is manned by a garrison of exiled misfits referred to as the “Night’s Watch”. Apparently, Wildlings and White Walkers don’t swim or paddle. In any case, the wall has held up for millennia but, guess what happened at the end of last season? (SPOILER ALERT: stop reading if you’re catching up on the series). It comes down!! !….courtesy of a resuscitated and demonically-possessed fire-breathing dragon, no less! We’ll have to wait until next season to see if it becomes a tourist attraction. And so, what does all this teach us about massive walls (real or imaginary) intended to separate populations of people? What themes and lessons emerge? They don’t work. People (even zombies) are smarter than walls, and are very capable of finding ways to overcome them. This is particularly true of people who are seeking better lives for themselves or families. Walls are static structures that can be overcome by imagination, determination and technology. Walls are hugely symbolic. They serve as a very visible expression of the values and priorities of those who construct them. The fences around our homes may not actually prevent a determined person from entering our property, but they certainly clarify for all the world that uninvited folks are unwelcome. They endure over time as artefacts, searched out and studied by historians and archeologists. They express and expose for posterity the true, unvarnished values and motives of those who constructed them. This persists long after they stop providing their original, intended purpose. They seem to serve as ideal, although expensive, tourist attractions. 4 thoughts on "A Brief History of Walls"
Dear Tony-fully agree. The idea of walling off a landmass the size of the USA combines the impractical and anacrhonistic with the misguided. It would be an enduring symbol of the day America lost its way. I suspect many gernatiosn would pass before it becaem a tourist attraction! 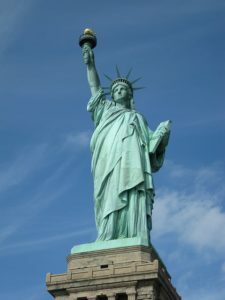 As a long time resident of the US I believe that if the wall goes up Lady Liberty must come down….one can’t have it both ways. Thanks for this Stephen. I sure hope it doesn’t come to that. Most of us are descendants of those “huddled masses” who had the courage and initiative to overcome barriers elsewhere to find a place they’d be welcome and have the opportunity to build new lives. The world needs such places, and we need such people. As always, a blog worth reading. I appreciate your reserved tone when drawing conclusions… I would have been less restrained!